Expanded Polystyrene (EPS) is a convenient, inexpensive and lightweight material to fulfill your packaging requirements. Polystyrene is one of the most widely used, the scale of its production being several billion kilograms per year. Products made from thermocol are ubiquitous, for example packing materials, insulation, etc. Whether you need to protect valuable products during shipping, maintain a required temperature or humidity level, or simply ensure that products are kept in their original condition, we have a product that will suit you. Being one of the top valorous cold chain packaging manufacturer we are now offering different variants of Thermocol box which is popularly known as Thermocol ice box, EPS vegetable box, Thermocol fruit box, Temperature controlled box, Fish Boxes, Thermocol Fabricated box, EPS molded box, EPS for door kit etc. Below mention list does cover small to giant size of boxes almost covering all arena where our product can accommodate its space. 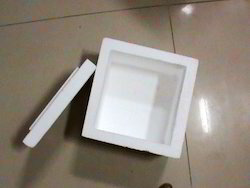 We do cater customized molded or fabricated EPS boxes for engineering, hardware, pathology labs etc., as per client's requirement. Below mentioned are the automatic machine molded boxes ready with us. 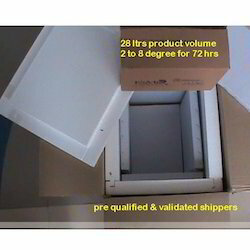 Looking for Insulated Shipping Boxes ?